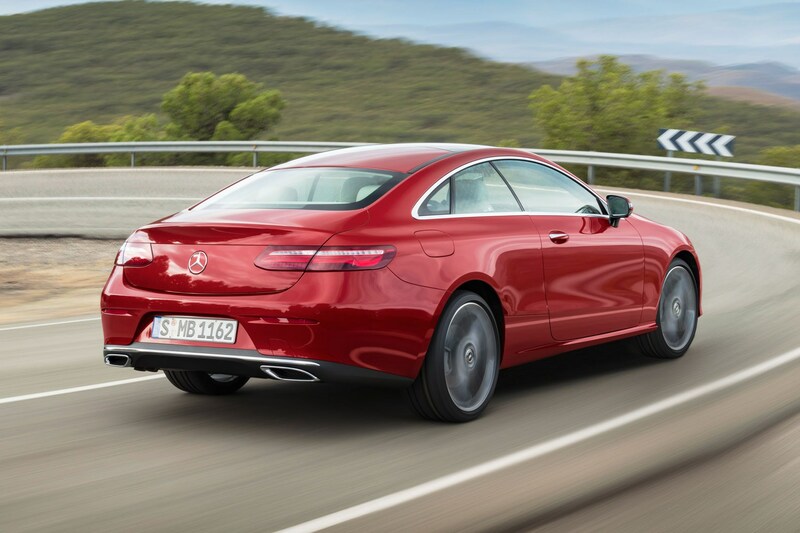 When Mercedes first announced the all-new CLS, it also revealed a brand-new mild hybrid AMG engine. Recognised by its 53 designation, the new electrified 3.0‑litre engine with twin turbocharging is designed to combine Afallterbach’s raw petrol power with the rapid response and efficiency of a hybrid solution. 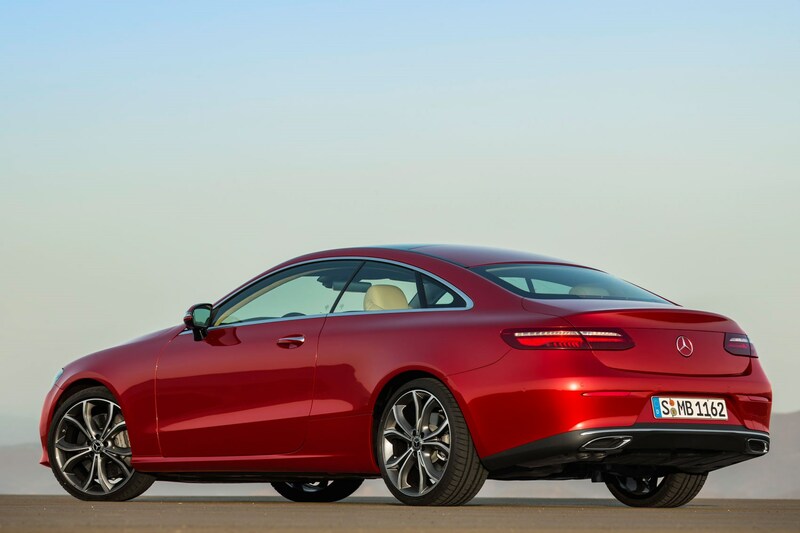 And now, Mercedes has announced the engine will be available in August. 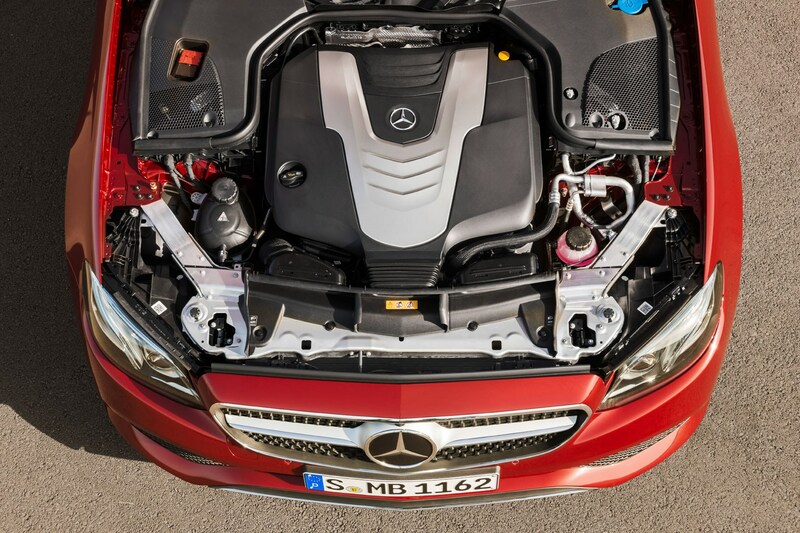 Mercedes says the new 53 engine will marry an EQ Boost starter generator with a 3.0-litre engine for 435hp. 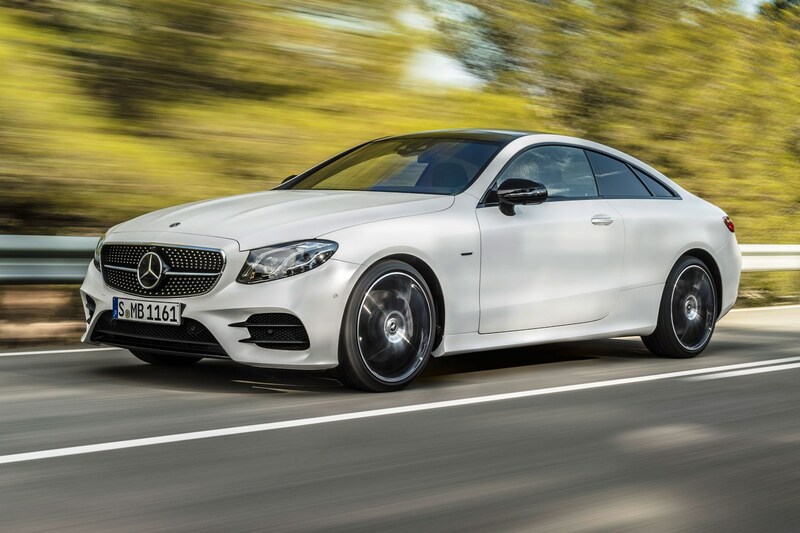 It’ll be easy it recognise too: instead of the slatted Panamerica grille of the 63 models, both the E 53 4MATIC+ Coupé and E 53 4MATIC+ Cabriolet will receive twin-blade grilles and a restyled rear apron. 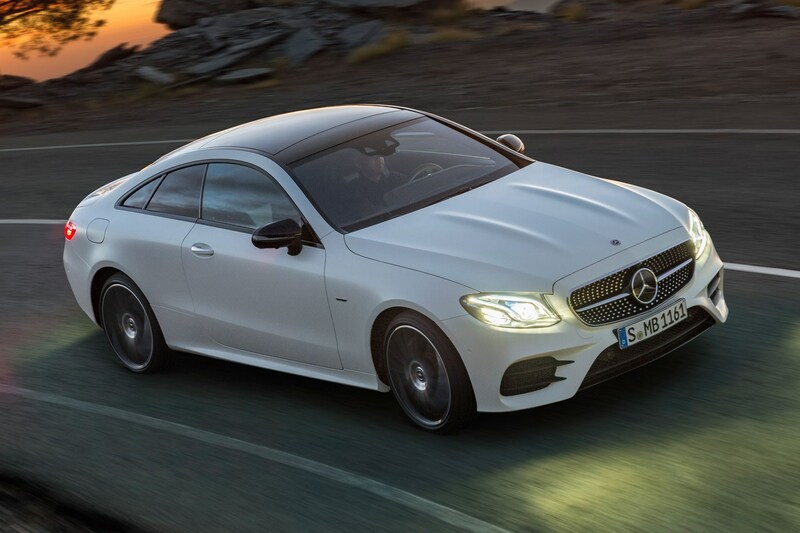 The latest E-classs Coupe, which arrived in the UK market in April 2017, is significantly bigger and roomier than before – and bristles with Merc’s latest technology, including cinema-esque surround view screens and semi-autonomous capability. 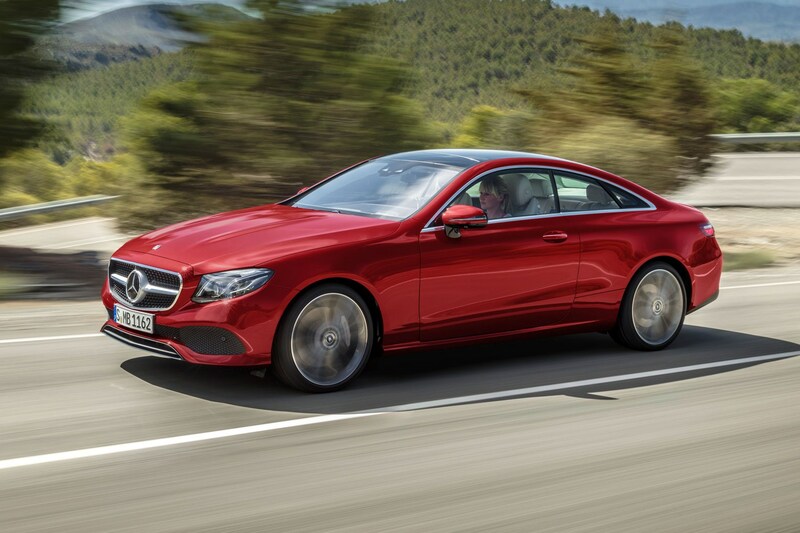 There’s no mistaking the E-class coupe for anything other than a Mercedes tin-top: its resemblance to its saloon sibling and C-class coupe junior is obvious. 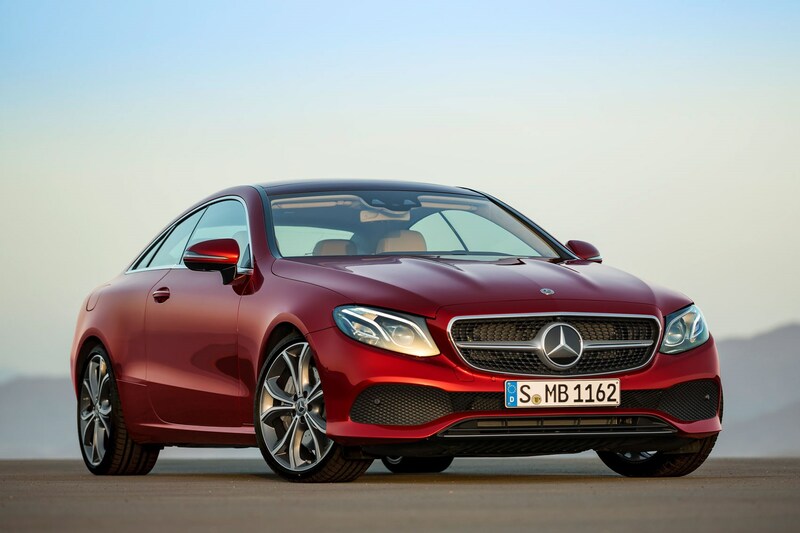 The E-class deploys Merc’s elegant sideglass unbroken by a central B-pillar, and the bonnet power domes hint at the sportier pretensions. 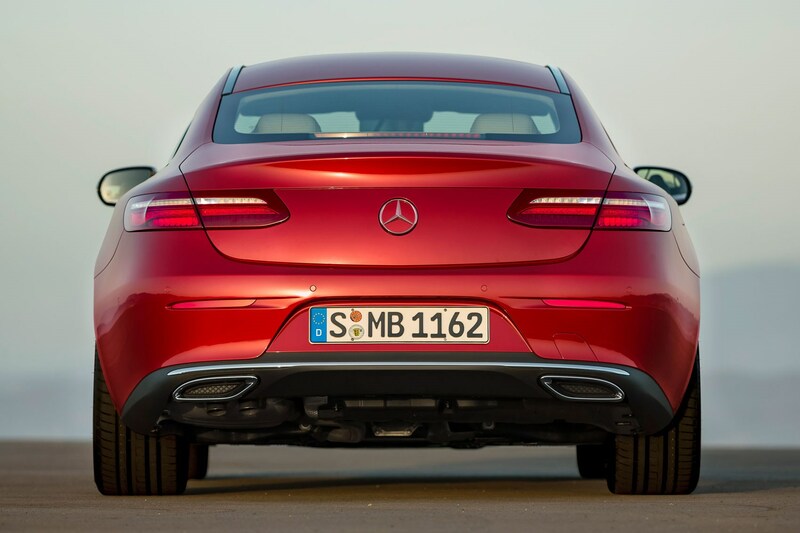 The rear lamps are a claimed world first, though it’s a curiosity rather than a must-have: the LEDs pulse in sequence – from the centre outwards – when you unlock the car, an automotive wink of welcome, then run the other way when you lock it. Crystal fibre optics also resemble the glow of a jet engine, Mercedes would have us know. 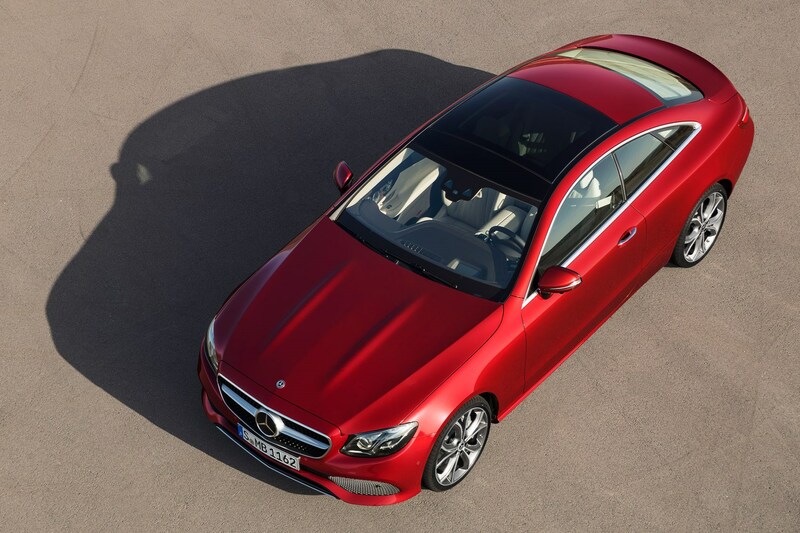 The underpinnings are shared with the E-class Saloon, though all two-doors benefit from 15mm lowered suspension. Adaptive damping – with a choice of Comfort, Sport and Sport+ settings – is optional, as are air springs to replace the regular coils. 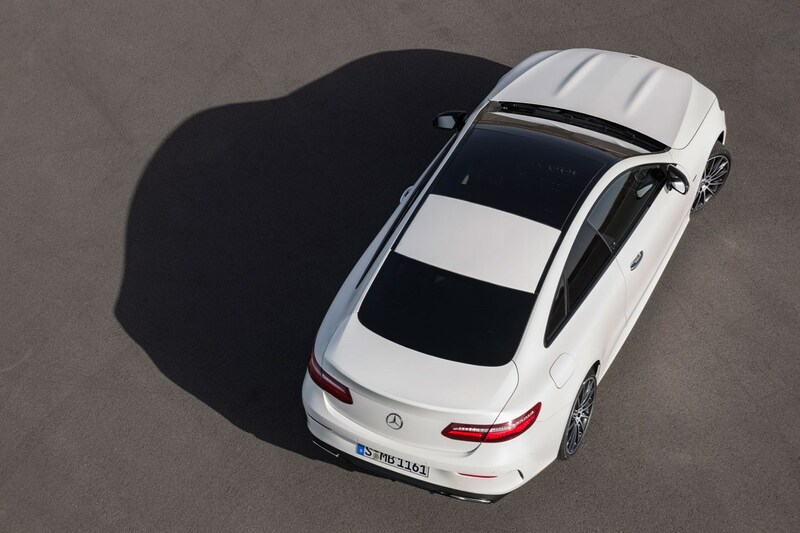 The big news – literally – is that the E-class Coupe is larger in every dimension than its predecessor. 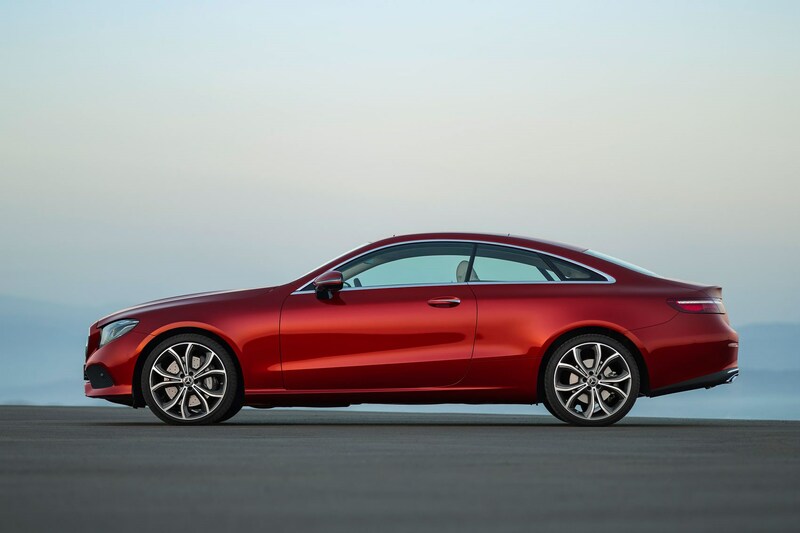 The 4826m-long coupe is extended by 123mm, and the wheelbase also benefits from a three-figure stretch: inside there will be more room for heads, shoulders and legs, front and rear. Both tracks are also wider, to boost dynamic ability, says Merc. 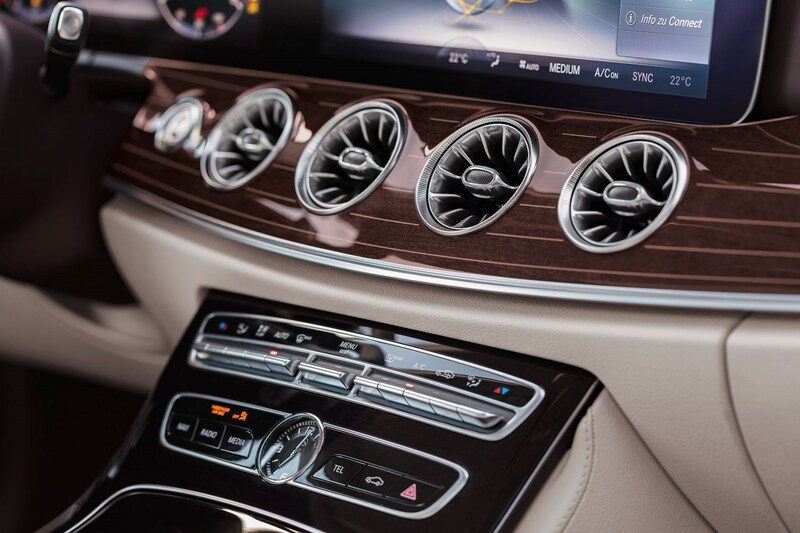 The cabin architecture is trad Mercedes: gently curved dash underlining the conjoined driver’s and central screens (optional), trimmed in tasteful pale wood on luxury trims or a more sporting AMG Line fascia. The jet engine motif is repeated inside, with a turbine-style finish to the air-con vents. 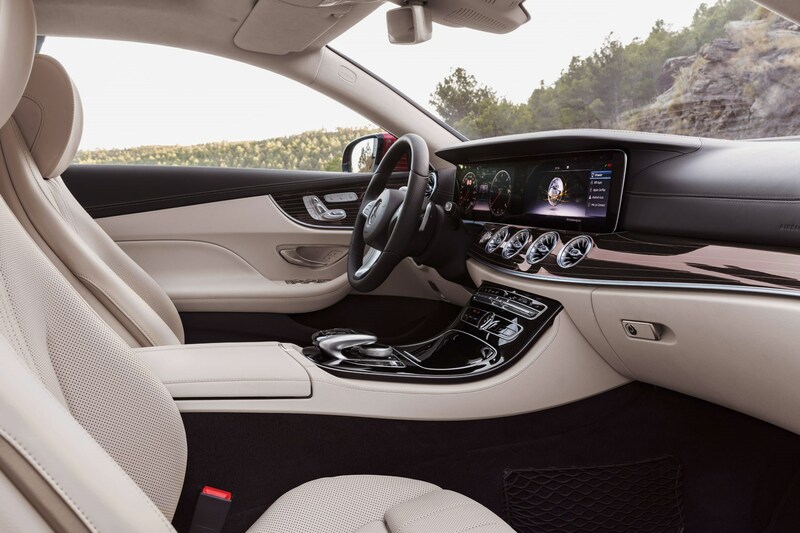 The E-class supports Apple CarPlay and Android Auto, and live traffic jam updates are available on both the Comand infotainment and the Audio 20 GPS Garmin system. 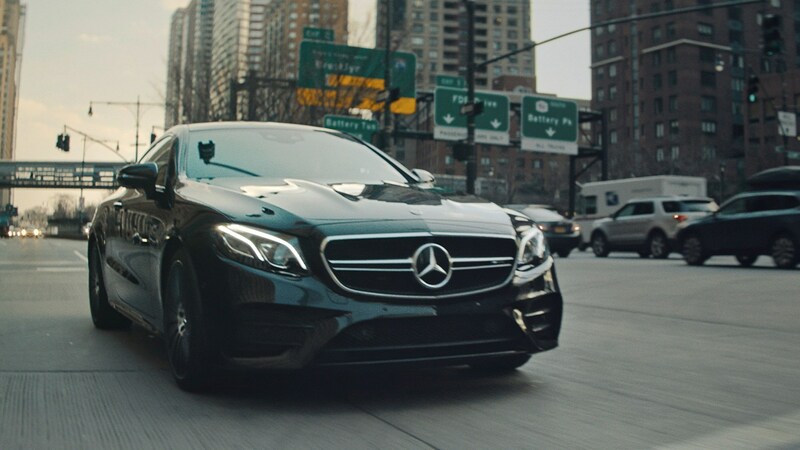 If you really raid the options list, you can choose a number of semi-autonomous systems: automated cruising at up to 130mph following the car in front and remote control parking via smartphone app. Automated braking – aiming to prevent collisions with other cars or pedestrians – is standard. 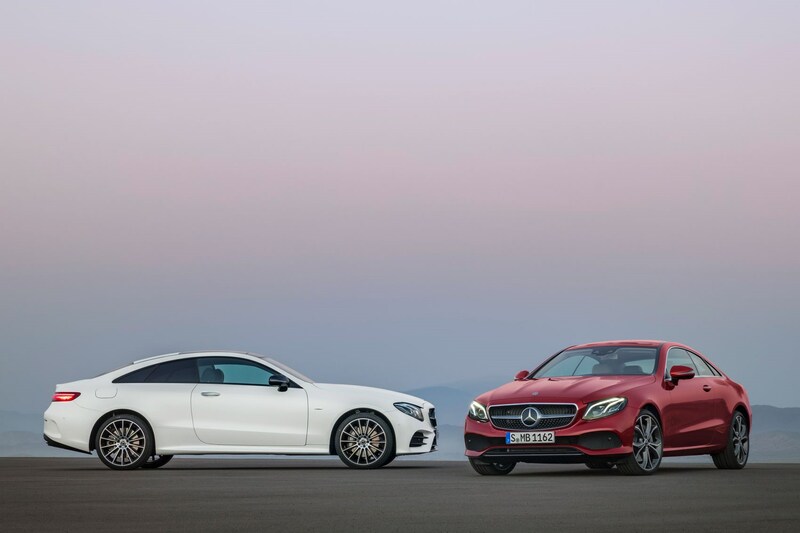 There’s only one trim line – AMG Line – but there are predictably several options to pick from. Standard kit includes 19-inch wheels, LED headlights and tail lights, parking sensors and a reversing camera, an 8.4-inch media system and heated front seats. Option packs include the £2795 ‘Premium equipment line’, which features memory seats and a panoramic roof; ‘Premium Plus’, for £3895, adds intelligent LED lights and a Burmester surround-sound system. Buyers can further opt for a £1695 Driving Assistance pack, a £1495 Comand Online upgrade that adds a 12.3-inch media system (standard on the E400), a £495 12.3-inch digital instrument cluster and £1495 Air Body Control suspension. 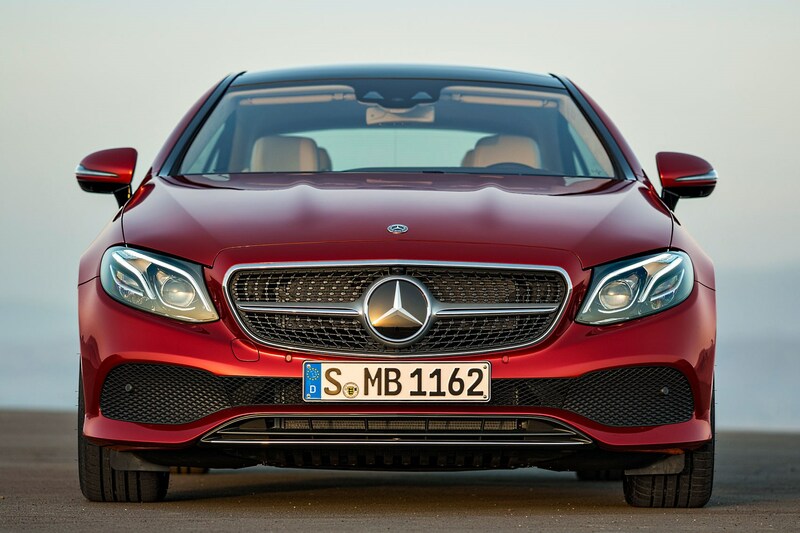 This, however, is also standard on the E400. 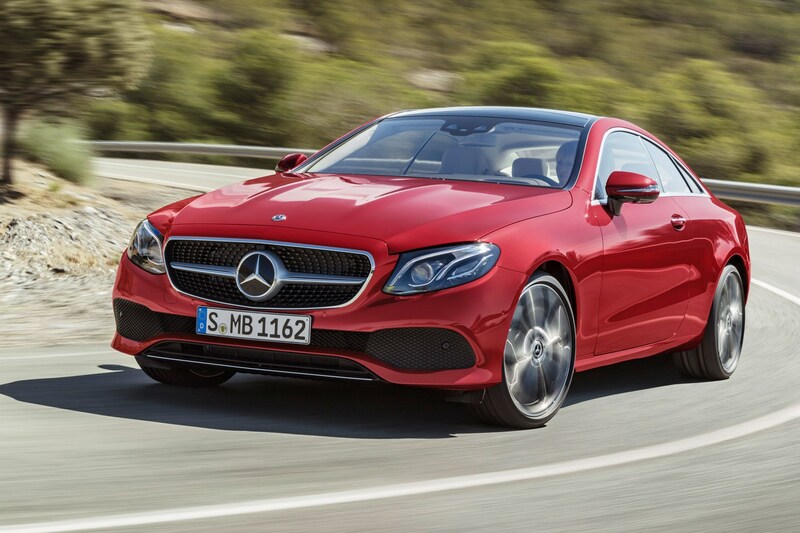 You can order the new E-class Coupe now, but deliveries don’t start until April 2017.